Have You Ever Called The National Suicide Prevention Hotline? After Robin Williams died, my Facebook feed was full of ads for the National Suicide Prevention Hotline. There's a reason for this: when celebrities commit suicide there may be an increase in suicide, copycat acts if you will. Publicizing means for help does help -- after Kurt Cobain's death, calls to such centers went up and suicide deaths went down. I'd like to write about what happens when people call suicide prevention hotlines. If you have, will you tell me your story? Or if you work for one, I'd love to hear about your experience. To write, I may need to be able to contact you (I don't need to publish your name), so perhaps an email rather then a comment? Shrinkrapblog at gmail dot com. The Shrink in the Shrink Rap Tie and Links to Interesting Articles. So I'm at work today, seeing patients, and I get a text. Between patients, I check the phone and there in the body of the text message is a photo of a man I've never seen and he's wearing a duck tie. The text is from a beloved friend who is a doctor (not a psychiatrist) in another state. 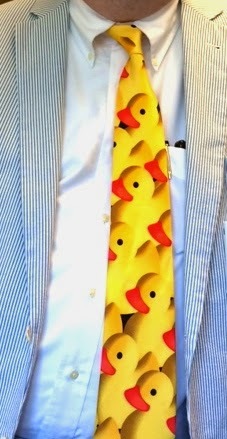 The photo is of the psychiatrist in their medical facility, he's come to work in a duck tie. As it would happen, it's pure coincidence; he's never heard of Shrink Rap and has no clue that it's our blog motto, but this dear psychiatrist allowed my friend to photograph him and text me his picture, and consented to having his tie on our blog, provided we don't violate HIPAA for any of the ducks. In case you wondered what your doctor is doing all day, he may be texting photos of ducks to his friends. The Boston Globe has been running a three-part series on their front page about a man with a severe psychotic illness and how it has devastated him and his family. A reporter followed the family for 18 months, do check it out here. And while we're talking about the broken mental health system, Dr. Paul Appelbaum has some suggestions for how to fix it in The Guardian. You can check that out Here. And while The Guardian is writing about the broken mental health system in the US, The Economist is writing about the broken mental health system in the UK. You can read about that Here. Scientific American tackles the tough question of whether you should tell your boss you have a mental illness Here. Here's a story I liked about a police officer who risked his life to pull a man off a bridge. We need a good cop story once in while, and they come few and far between in the media these days. Here's another police article in The Atlantic about the helpfulness of police Crisis Intervention Teams in San Antonio, and the importance of training the police to understand and help people with psychiatric disorders. These teams decrease the number of people who end up being killed by police. Our Hopkins colleague Dr. Kay Jamison had a op-ed piece in the New York Times on the difficulties of treating depression and how it's important that the psychiatrist be competent, check that out HERE. In another moving op-ed piece in the NY Times, Roger Cohen talks about his search to understand his mother's struggle with depression HERE. There's been a lot of psychiatry articles in the popular press. This is just a few, but I do often tweet them when they come out, so do feel free to follow my twitter feed @shrinkrapdinah. How Hard Is It To Find a Psychiatrist? Tell me your stories! 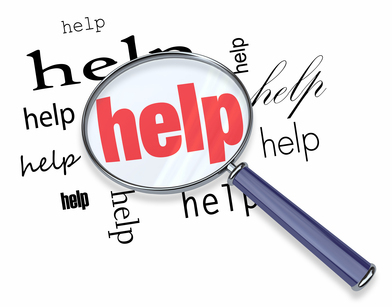 One of the concerns I have about funneling our resources into programs for involuntary treatment is that I believe it's difficult for those who want help to get it. Some assume that those who don't recognize their need for help are society's sickest patients, and that resources should go to them first. So I want to hear your stories of looking for a psychiatrist. So let me ask you, how hard is to find a psychiatrist here in the United States? If you found one easily --- say a morning's worth of phone calls and appointment within a reasonable time -- just say "Easy" and please tell me what part of the country you live in and if you live in an urban/suburban/rural area. If you had a longer story, I'd love to hear that as well, with the same demographics. 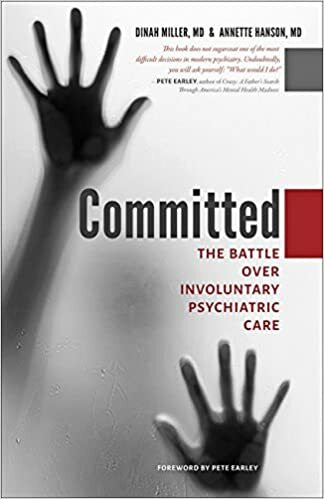 As our regular readers may know, we are working on a book called Committed: The Battle Over Forced Psychiatric Care. In Maryland, there is no provision for people to have ECT against their will, it's a voluntary procedure and someone else can't sign you up. Before I learned about it from Shrink Rap readers, I didn't realize that there are other states where ECT can be court-ordered and done against a patient's will. I'm interested in talking to people about their experiences with involuntary ECT. Anyone with a personal story is invited -- patients who've had it (court-ordered, not cases where people have been cajoled into voluntary treatment), but also family members, doctors, nurses, and the staff who do it, and even the judges who order it. I can be reached at email : shrinkrapblog at gmail dot com, by writing a comment on this post, or via Twitter @Shrinkrapdinah. If you have no personal connection to forced ECT, please don't comment. I do already know that many people think it's awful. What Happens When Patients Won't Take Meds? You're here reading Shrink Rap, so you may think this is a post about patients who refuse to take psychiatric medications, and non-compliance with psychiatric medications gets to be it's own issue. So it caught my attention when Dr. Albert Fuchs tweeted that he was interviewed by NPR about "What happens when patients won't take medicines." Dr. Fuchs is a primary care doc with a concierge practice in Beverly Hills, so I wanted to hear what he had to say, and I invested 6 minutes of my life in listening to his NPR talk -- you may want to go to the website and listen as well. He makes a good point about being cautious when an addictive medication is prescribe, and he notes that in Los Angeles people are pro-health, anti-medication and perhaps that skews who he sees, but that medication refusal is common. I'm thinking that by the time you're paying an outrageous concierge fee to your primary care doc that either you're ill and feel you need extra attention or money's not an issue in your life -- after all it's Beverly Hills. But my other thought is why would someone invest in this type of care if they are not going to follow the doctor's suggestions? If you're going to blow your doc off, do it when there's a $20 co-pay. That said, I'm not exactly the best of patients, and I've had a doctor who has wanted me to take calcium supplements for years. She is insistent. One look at me and one thing is clear: I'm well nourished. I don't think I need supplements, I think I get plenty of everything in my diet, and a close friend started taking calcium on the advise of her doctor and promptly got a kidney stone, and the literature suggests that dietary calcium is better than supplements, at least for people in some demographics . I assure my doctor that I ingest enough calcium. She's asked me what I eat, to which I've replied milk, yogurt, cheese, and ice cream. "Do you eat ice cream everyday?" Isn't that harassment? Of course I don't eat ice cream every day, but I wish I did. I surrendered, I bought a bottle of Tums and a few times a year, I eat one. This way, when I see this doc, I can say with impunity that I sometimes take Tums and this seems to stop the conversation. Maybe I'm wrong and someday I'll have brittle bones and wish I had listened and taken calcium supplements. So I have mixed feelings about whether one always needs to follow doctors' orders exactly and under what circumstances. Certainly the issue in psychiatry gets very complex if the patient is psychotic and repeatedly decides not to take medications and keeps ending up in the hospital or puts himself or others at risk. In the meantime, my favorite flavor, for anyone who wishes to buy me ice cream, is praline pecan. Suicide: A permanent answer to a temporary problem. Rest in peace, Robin Williams. The news last night was tragic, Robin Williams has died of an apparent suicide of the early age of 63. I saw the news and felt overwhelmingly sad. Really? He was a tremendous actor, a creative genius by any account, a man who I imagined had everything -- talent, wealth, fame, the wonderful ability to make people laugh and to brighten lives. Such people also get draped with love and admiration, though certainly at a price. For what it's worth, Robin Williams has been open about the fact that he's struggled with both depression and addiction, but the complete story is never the one that gets told by the media. Twitter started with 140 character links to Suicide Hotlines and suicide awareness, to statements about how depression is a treatable illness -- Is it always? -- and I hit re-tweet on a comment stating "We’re never going to get anywhere till we take seriously that depression is an illness, not a weakness" and several people retweeted my retweet. I'm not sure why I did this; I don't think that most people still think of mood disorders as a "weakness," or that those who do might change their minds because of a tweet. And I don't think that suicide does anything to reduce stigma. One shrink friend tweeted a comment about how one should never ask someone why they are depressed, I guess because the "why?" implies something other than because biology dictated it, but if you've ever spoken to a person suffering from depression, you know that it comes in all shades of severity and that people often write a story to explain it. Sometimes that story is right -- I'm depressed because of a break up, or because I don't have a job now, or because of on-going work stress -- and indeed, the person suffering often feels better after talking about the situation, after getting a new boyfriend or a new job, or after their boss moves to Zimbabwe. I'm convinced that treatment works best when psychotherapy is combined with medication (if indicated) and while medicines are a miracle for some, they aren't for others. As psychiatrists, we certainly see a good deal of treatment-resistant depression. And yes, the anti-psychiatry faction may postulate that it is the treatment -- the medications, specifically - that cause people to kill themselves and others, but I will leave you with the idea that the science just doesn't support that. Certainly, they aren't for everyone, but clinically I have seen medications do more good than harm in clinical practice overall. Please don't send comments about how treatment kills, I won't be publishing them. I know nothing about Robin Williams beyond what I've read in the media, and I know that the media presents it's own version of what happened. I do imagine that Mr. Williams had the resources to get good care and that he may well have had treatment for depression since he was open about his struggle. His story will be used to say "Get Help" and if you're feeling suicidal and aren't getting help, please do. If you're feeling suicidal and "help" isn't making you feel better, please consider getting a second opinion or a different kind of help. The tragic thing about suicide is that it's a permanent answer to what is often a temporary problem. People commit suicide for a variety of reasons -- unbearable psychic pain of the type that comes with Major Depression or Bipolar Disorder or any other psychiatric disorder, being just one reason. Being in a bind (financial, love, legal) that one can't think of a way out of is another. And tragically, on an impulse, with the barrier lowered by drugs or alcohol. The truth is that when psychic pain --from depression or grief or heartbreak or anything else-- is bad, intoxication offers a quick relief for a fleeting moment, and when that moment of relief passes, a person's mood often drops violently and then suicide offers another way out, with the usual obstacles removed by the intoxicant. If you're feeling sad, don't drink or use drugs to alleviate the pain, and if you must, don't do it alone and don't do it where there is easy access to a lethal means of ending your life. Sometimes, I imagine that there are people who have tried and tried to get help and that their pain remains so unbearable for so long that suicide offers them the only possible relief -- if such a thing is even to be had given that we don't what comes next and some religions will say that suicide leads to nowhere good. Even if it provides relief to the person involved, it comes with the cost of leaving those who remain in horrible pain. Sadly, depressed people sometimes imagine that the world will be better off without them, and often that idea is just not true. I hope that Robin Williams is in a better place, for his sake. I hope that before he ended his life, he tried every possible treatment option, and that this wasn't an impulsive decision, or one based on an episodic relapse of either depression or substance abuse -- a relapse that may have resolved and let him live for decades more. I hope his wife and children and all the people who knew and loved him will eventually find some peace. His death, however, is not simply a personal one because he touched us all with his talent and his charisma. What a tragic loss. Is "Shrink" offensive? Take a one-question poll! Over on Clinical Psychiatry News, we had a reader complain about our column title --Shrink Rap News. He felt it was odd and offensive to use the term Shrink when people have worked so hard to reduce stigma. I countered with the article there called "The Stigma of Being a Shrink" to discuss how we came to the title Shrink Rap for our work, and that the term "shrink" just didn't strike me as one which would alter care for our patients or leave us being seen in a negative light. It's been 8 years of Shrink Rap -- the name has worked for us in the form of 3 blogs and a book, and well, shrink is one syllable while psychiatrist is 4 and psychiatrist does not lend itself to any cute puns or double meanings. We're also not the only Shrink Rap or Shrink Wrap or Shrink Wrapped. So I thought I'd ask you: Is the term Shrink offensive? Does using it alter the care our patients receive? Should it be abolished from the jargon the way we no longer use terms such as Lunatic? Or the way we might like to get rid of words such as Crazy? I'm against stigmatizing people because of all sorts of things -- mental illness is only one of them. I don't think anyone wants to be obese or have a drug or alcohol addiction, but some members of society seems to be okay stigmatizing those folks (--they could eat less and avoid their substances, apparently, if only they so chose...). Calling a professional a 'shrink' -- I want to say "lighten up," but I'm all ears. Not promising to change our blog name by any means, but what do you think? And while we're talking about stigma -- there was a terrific article by Allen Frances over on the Huffington Post. He notes, "Never has there been less stigma for having mild psychiatric problems, but never has there been more stigma for having severe ones." Sectioned -- on involuntary treatment in the U.K. In America, people enter the hospital involuntarily in a process known as civil commitment. On the other side of the pond, in Great Britain, it's known as being "sectioned." My thanks to Mental Health @sectioned_ on Twitter who linked to this BBC radio program called "Shrink Wrapped" (not, not, not Shrink Rap) and a one-hour show on being Sectioned -- they interview a psychiatrist, a patient who has been sectioned roughly 10 times, and the police. Here's the Link if you'd like to listen. The issues sound to be the same on both sides of the Atlantic Ocean. If you'd like to listen, it may only be available for a few more days. The Creative Brain : Links to Mental Illness? If you're a psychiatrist, you likely know who Nancy Andreasen is. For as long as I've been around, she's been one of those big names in psychiatry and someone who leaves you to wonder if she ever sleeps, or if she has a clone, because it's hard to imagine that one human being can accomplish so much. She has a Ph.D in English literature, and she's a psychiatric researcher who studies schizophrenia, neuroimaging, genomics and schizophrenia, and she directs every organization she belongs to and has won more prizes than I care to mention. She's a former editor of The American Journal of Psychiatry, the Chair of the University of Iowa's department of psychiatry. In addition, she writes books, and scuba dives. And yes, she's married with children. I've heard her speak, and I enjoyed her recent article in The Atlantic, "The Secrets of the Creative Brain" enough that I read it twice so I could share the highlights with Shrink Rap readers. For example, they were generally physically superior to a comparison group—taller, healthier, more athletic. Myopia (no surprise) was the only physical deficit. They were also more socially mature and generally better adjusted. And these positive patterns persisted as the children grew into adulthood. They tended to have happy marriages and high salaries. So much for the concept of “early ripe and early rotten,” a common assumption when Terman was growing up. But despite the implications of the title Genetic Studies of Genius, the Termites’ high IQs did not predict high levels of creative achievement later in life. Only a few made significant creative contributions to society; none appear to have demonstrated extremely high creativity levels of the sort recognized by major awards, such as the Nobel Prize. (Interestingly, William Shockley, who was a 12-year-old Palo Alto resident in 1922, somehow failed to make the cut for the study, even though he would go on to share a Nobel Prize in physics for the invention of the transistor.) Thirty percent of the men and 33 percent of the women did not even graduate from college. A surprising number of subjects pursued humble occupations, such as semiskilled trades or clerical positions. As the study evolved over the years, the term gifted was substituted for genius. Although many people continue to equate intelligence with genius, a crucial conclusion from Terman’s study is that having a high IQ is not equivalent to being highly creative. Andreasen began to study people from the Iowa writer's workshop and people she deemed to be creative geniuses. At first, she hypothesized that they would have more relatives with schizophrenia than the average person and she based this on her observation that some geniuses (e.g. Einstein) had relatives with schizophrenia. As I began interviewing my subjects, I soon realized that I would not be confirming my schizophrenia hypothesis. If I had paid more attention to Sylvia Plath and Robert Lowell, who both suffered from what we today call mood disorder, and less to James Joyce and Bertrand Russell, I might have foreseen this. One after another, my writer subjects came to my office and spent three or four hours pouring out the stories of their struggles with mood disorder—mostly depression, but occasionally bipolar disorder. A full 80 percent of them had had some kind of mood disturbance at some time in their lives, compared with just 30 percent of the control group—only slightly less than an age-matched group in the general population. 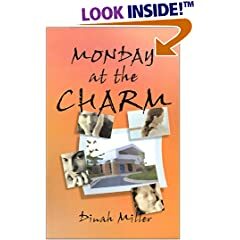 (At first I had been surprised that nearly all the writers I approached would so eagerly agree to participate in a study with a young and unknown assistant professor—but I quickly came to understand why they were so interested in talking to a psychiatrist.) The Vonneguts turned out to be representative of the writers’ families, in which both mood disorder and creativity were overrepresented—as with the Vonneguts, some of the creative relatives were writers, but others were dancers, visual artists, chemists, architects, or mathematicians. This is consistent with what some other studies have found. Andreasen became interested in using MRI to study the brain structure of people with schizophrenia (she is a pioneer in this field). She began to wonder what imagining studies might reveal about the brains of the very creative. And what are we even looking for when we search for evidence of “creativity” in the brain? Although we have a definition of creativity that many people accept—the ability to produce something that is novel or original and useful or adaptive—achieving that “something” is part of a complex process, one often depicted as an “aha” or “eureka” experience. She then goes on to talk about using PET scans to look at the workings of the brain when people are asked to think about specific "episodic" events versus free-associating or REST (random episodic silent thought). Based on my interviews with the creative subjects in my workshop study, and from additional conversations with artists, I knew that such unconscious processes are an important component of creativity....In my own version of a eureka moment, the answer finally came to me: creative people are better at recognizing relationships, making associations and connections, and seeing things in an original way—seeing things that others cannot see. To test this capacity, I needed to study the regions of the brain that go crazy when you let your thoughts wander. Her subjects spend 3 days in Iowa. During this time, Dr. Andreasen has them to dinner at her house, drives them around her 40 acre nature retreat, then she interviews them (in-depth inquiries about their childhood, interests, families and more) and she scans their brains. It sounds like fun. I don't know if the control group gets dinner and the estate tour or not, but I'll assume so. She's studied 13 creative people and 13 controls. Of the 13 creative types, 2 had parents who died of suicide (an exceedingly high number). The creative subjects and their relatives have a higher rate of mental illness than the controls and their relatives do (though not as high a rate as I found in the first study), with the frequency being fairly even across the artists and the scientists. The most-common diagnoses include bipolar disorder, depression, anxiety or panic disorder, and alcoholism. I’ve also found some evidence supporting my early hypothesis that exceptionally creative people are more likely than control subjects to have one or more first-degree relatives with schizophrenia.